What is the Best Dog Nutrition? A lethargic dog may be a sign that he is not getting the best dog nutrition. How do You Know When Your Dog’s nutritional needs are not being met? “Man’s Best Friend,” is an old saying that goes back hundreds of years and refers to the long history of closeness, loyalty, and companionship that dogs have with humans. These days people keep dogs for protection and safety, but most treat their dog as part of the family. More often than not dogs sleep, eat and enjoy everyday activities with their family. Pet owners these days do take special care of their dogs to ensure that they do not suffer from illnesses and injuries. 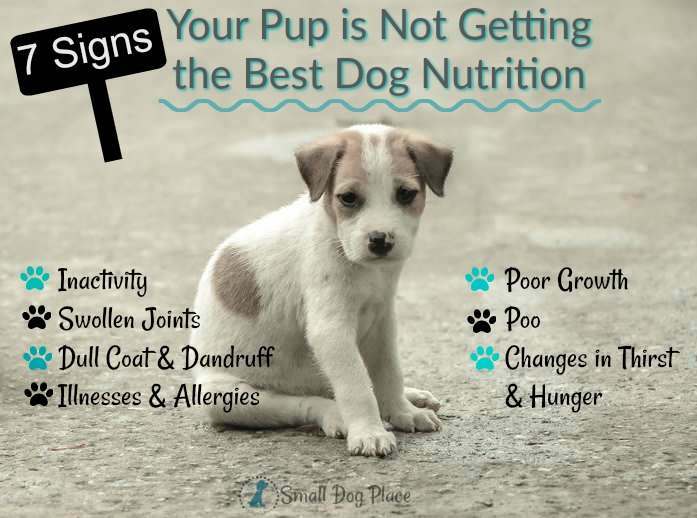 However, a common mistake is that the nutritional requirements of their puppy as it grows into adulthood can be overlooked, and nutritional deficiency can cause various health issues – meaning that visits to the vet can be more frequent (and expensive) your dog can be in discomfort, and their life can be shortened. Here are seven signs to look out for if you are worried. There are at least seven signs your dog could be suffering from a poor diet. Many of these symptoms may also be due to other illnesses, but if you notice one or more of these signs, it is important to consider nutrition as a possible cause. The first sign that you will notice in your dog is the lack of activity. 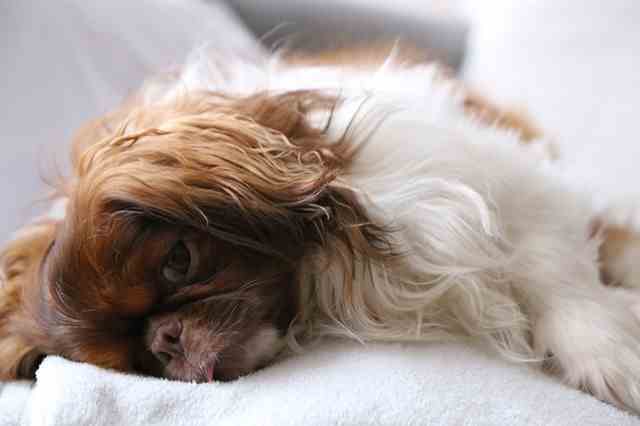 If you can't explain your dog's inactivity in any other way, a call to your vet is important. Different dog breeds have different activity levels, but in all cases, puppies have far more energy than their adult counterparts. There is a good reason to suspect that a puppy is not receiving the best dog nutrition if he sleeps too much, appears lethargic, or refuses to play. Many people think that joints only swell in old age due to arthritis. However, inflammation can also be a sign of nutritional deficiency. Providing the best dog nutrition helps keep your dog moving and free of pain. You know that your dog has painful joints when he has trouble moving or yelps which you touch the sensitive areas. If you observe this, take your dog to the vet for a check up and an accurate diagnosis. Your vet will be able to prescribe painkillers and dietary changes, if necessary. Of course, if your dog does have arthritis then diet is extremely important, and it’s as much about what you don’t feed him, as what you do! The condition of your dog’s coat is a perfect indicator of your dog’s overall health. A healthy coat has strong and shiny hair, and is not stinky! The best dog nutrition also leads to a healthy hair coat and skin. Hair is made up mostly of protein, so when it is dull and lifeless, it can be a sign of nutritional deficiency. A diet that has plenty of protein and amino acid content is ideal as this will help strengthen your dog’s coat. If you notice that your dog’s coat loses its shine, or that there are dandruff and shedding make sure your pooch is on the right diet and if necessary speak to your vet about supplements. The best dog nutrition will lead to normal growth and a healthy dog. Normal growth, however can be affected by the nutritional deficiency. You may notice that the height of your dog does not increase. Most important to check the weight of your dog, and compare with other dogs of the same breed to see if he is the normal range or has an issue. Lack of certain nutrients in the food such as Protein, Vitamin D or Calcium can be a big problem especially in growing puppies. Your vet is a good source for evaluating your dog's overall weight and growth. If a dog is not fed properly he can be vulnerable to illnesses and allergies. Look out for allergies and skin problems. Many allergies in dogs show up as skin and coat problems, itching, rashes, and loss of hair. You will notice that there will be hair removed from the coat in the form of bald patches. Too much salt intake in the diet can lead to larger than normal amounts of sodium in the body which can harm vital organs such as the heart. Dogs that consume too much salt may be prone to congestive heart failure. Kidney disease is another problem often created by dietary imbalances. Too much sodium, potassium or phosphorus along with not enough water can cause problems within the kidneys. Obesity is another problem often caused by diet. Your dog may be getting enough to eat, but it is not correct for his particular life circumstance. Obesity can lead to many different health problems. Overeating can also result in an overabundance of some nutrients such as Vitamin A which can also be detrimental. You will need to take your dog to the vet because only he can identify the issues and provide you the best solution for the problem. You can learn a lot from a dog’s poo about his health (it is the same for humans!). The color is the first thing to observe. If there has been a lot of iron in their food, you will notice that the color of the poo will be black and similarly there are some other food items that will change the color of the poo. But black poop could also mean there is blood in the digestive tract, so never assume it is just what the dog has eaten. Orange, yellow or pale poo may mean that food is moving too quickly through the digestive tract. This is a problem because the body is not allowing the food to be digested and the major organs are not getting the nutrients they need to function. The next thing you should watch the consistency of the poo. If it is extra hard, there are chances that your dog is de-hydrated, and maybe the food you are feeding is not helping this. When your dog is showing signs like this, he is constipated and may need more water in his diet. On the other hand, if is extra liquid it is also possible that he is de-hydrated through loss of water. This is very important to address as a dog’s health can quickly deteriorate through their organs being affected, and hydration is critical. The normal consistency of poo should be soft, formed, and firm. The quantity of daily poo output may be another sign that your dog is not getting adequate nutrients. Not only does a dog need the best dog nutrition, those nutrients must also be in a form that can be absorbed and used by the body. Higher quality dog foods contain more biologically available nutrients and thus produce less poo. Those foods that contain higher amounts of fiber will produce more poo. The right amount of fiber is important for a healthy digestive tract, but many lower quality foods use filler type ingredients that are not immediately useful to the dog. A common sign that many people miss is the change in the thirst and hunger patterns of the dog. When a dog is suffering from nutritional deficiency, you may notice that he will either have a ravenous appetite or none at all. You may also see that they start to eat strange things on the street which could be an effort to satisfy something that is lacking in the diet. Again time for a recalibration of diet, and a check up with the vet. In case that you find any of these signs in your dog, it is important that you take your dog to the vet as soon as possible. He will conduct some tests and do an examination to identify what the issue may be, and if it is a nutritional deficiency, your vet can guide you about how best to maintain a diet for your particular pet. Eva Sykes is a Content & Partnership manager by day and avid dog lover by night. She spends most of her time working with people who love to help pets in need or just need a bit of extra love, spending countless hours helping stray and lost dogs find new homes to avoid being put down. Eva's hobbies include climbing (or bouldering) as well as playing squash, while at the same time seeking the sun on travel adventures. Eva is currently working to spread the word about why people should adopt pets as a way to improve their health and lifestyle.